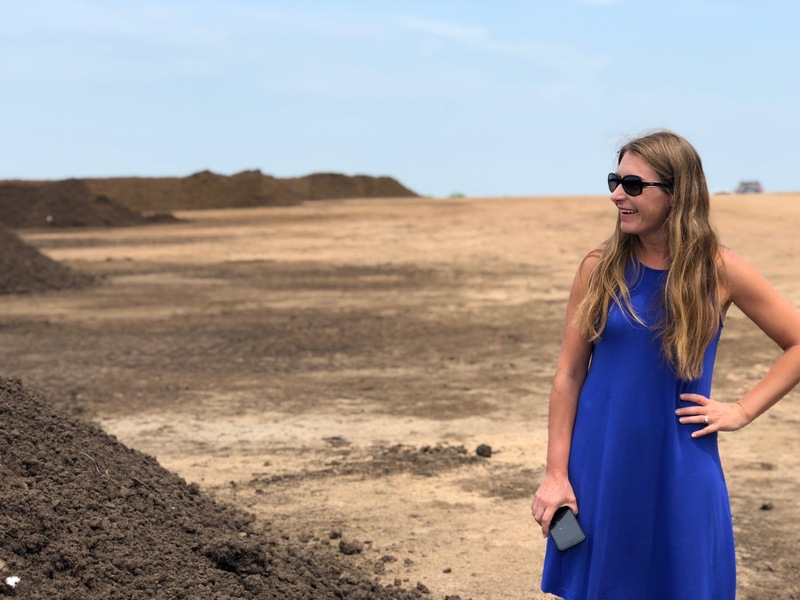 Brie Arthur once again brings her Foodscaping expertise to the Soil3 blog in this post all about a special school garden project! My first step was to coordinate with Ms. Jackson, the school garden club director and special education teacher. We toured the grounds and identified the perfect site – a sunny courtyard closed to the public and browsing mammals. 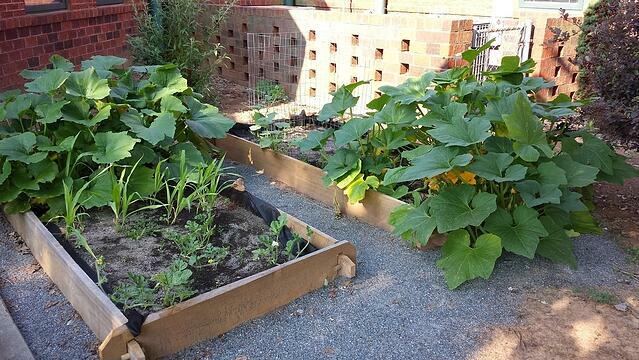 They had already installed raised beds but were interested in expanding the square footage. 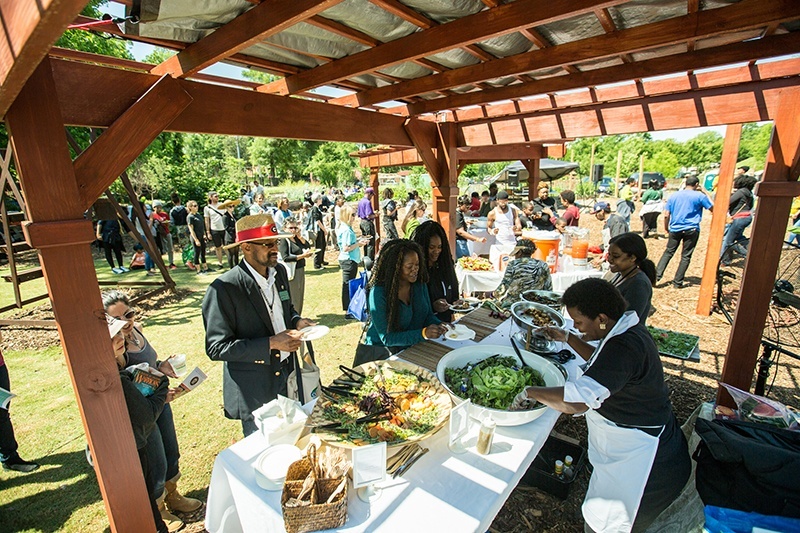 The vast foundation landscape was the perfect setting for a Foodscape, where edibles are woven seamlessly with traditional ornamental landscape plants, such as hollies, azaleas, and hydrangeas. I measured the beds and drew the landscape to scale, which allowed me to see the potential of an additional 1,250 square feet of existing landscape space that existed but was not planted. That means we didn’t have to remove any plants or grass, and we had well over a thousand more square feet of planting space! We broke ground in the simplest of ways, by just topdressing the beds with Soil3. Then we direct sowed cool season crops like carrots, kale, mustard, chard, and collards and then mulched lightly over top. We seeded clumps of grains including wheat and barley and even planted a cover crop of crimson clover to compliment a row of azaleas. 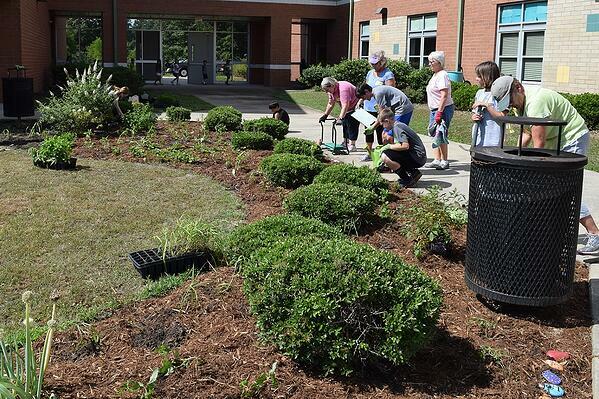 The garden club volunteers couldn’t believe how fast and easy the installation was. 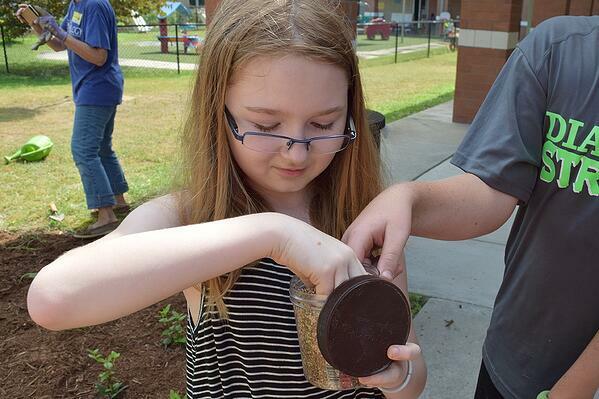 Turns out people of all ages enjoy sprinkling “pixie dust” seeds. The seedlings germinated quickly and within weeks the empty spaces turned bright green as plants began to take root. If you have never planted an area by direct seeding, I highly encourage you give a try.  It is inexpensive, low-maintenance, and the yields will blow your mind! The key to good germination is healthy, well-drained soil, and that is exactly what Soil3 provides! Over the course of fall, winter and, spring the garden club volunteers and I would gather to help maintain the area and continue sowing seeds to provide seasonal beauty and bounty. With the original Foodscape well established, it became clear there was an area in the courtyard that desperately needed our attention. The result of poor grading, large concrete pathways, and downspouts carrying a roof load of rain, one area was always soggy. 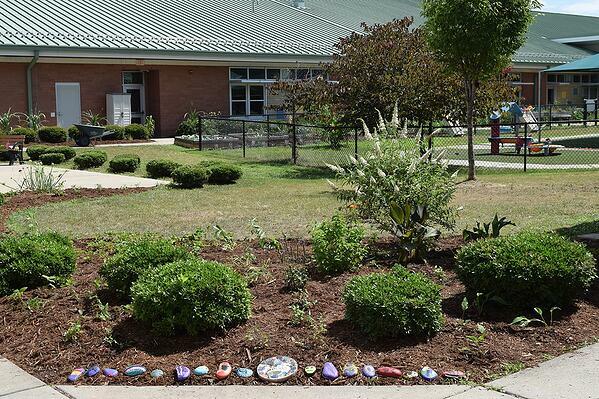 Over the years teachers had tried to plant a pollinator garden but lacked the funds to purchase the right compost and appropriate plant material. When I saw this space I instantly thought “rain garden” and set out to contact horticultural experts on this subject. Steve Castorani, owner of North Creek Nurseries and American Beauties Native Plants generously offered to help in this endeavor. He advised on plant selections and donated a variety of perennials that are well suited for the extreme conditions of a rain garden. This was the first step in getting the Herbert Akins rain/pollinator garden moving in the right direction. But before we could even think of planting we had to prepare the site first. This required doing a lot of weeding, edging, soil installation, and mulching. 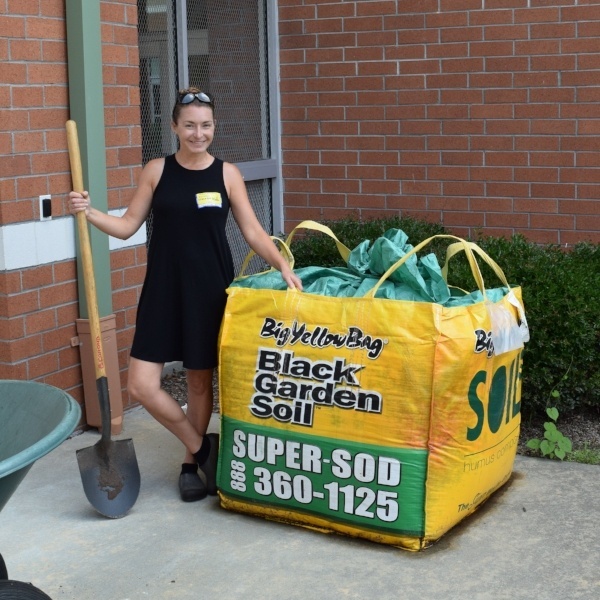 The Fuquay Garden Club volunteers went above and beyond clearing the open areas of all potential invasive plants so that my husband and I could easily install a BigYellowBag of Soil3. 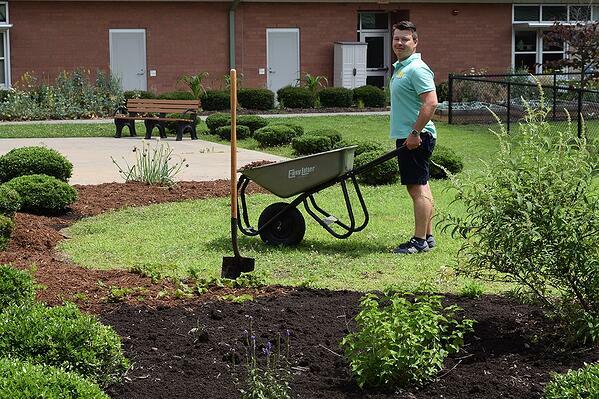 With each wheelbarrow of compost, the vision began to come true – this would be a garden that these students would learn from. 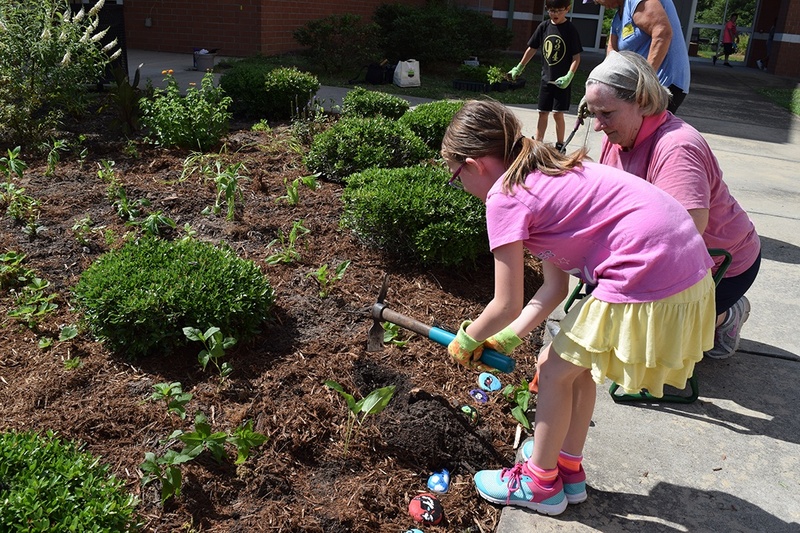 On planting day the courtyard was bustling with student and adult garden club members. As we unloaded the plants everyone pitched in to lend a hand. The trays of perennials were laid out as I explained the planting process. These plants are special – they are landscape plugs which are easy to plant, root in quickly, and require very low inputs (fertilizer and water). 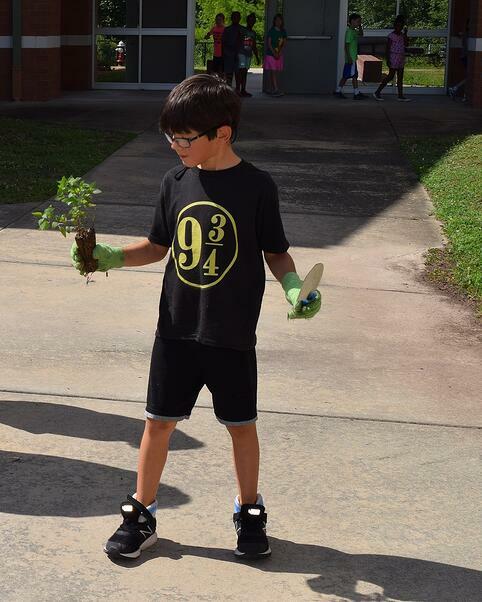 I brought my favorite tool – the pick axe – and the planting began! The rain garden follows the edges of the concrete walkway in the middle of the courtyard. 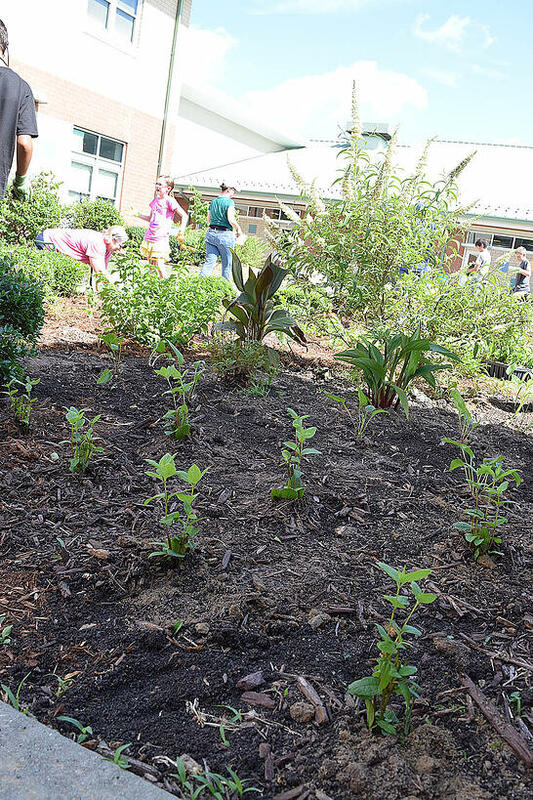 The space for planting was about 2,500 square feet. It was hot the morning of planting and everyone was anxious to beat the heat. 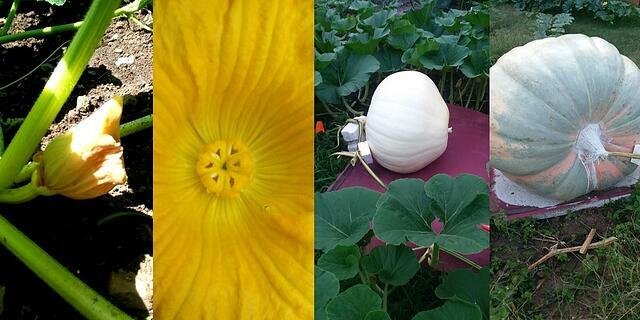 Much to their surprise, the entire garden was planted, fertilized, and watered in under an hour! This process was smooth because we prepared the site in advance and used the best possible compost, thanks to a BigYellowBag of Soil3! The “black cake mix” was easy for everyone to dig into and holds the perfect amount of moisture to ensure the newly planted perennials will thrive through the heat of the summer. Several of the student gardeners were to graduate from this school the following week. 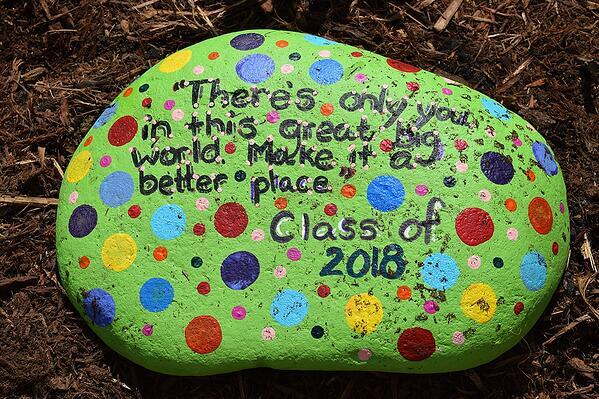 They tearfully declared they “would be back” to watch this garden grow and teach the next group of students who would join the club. It is that dedication that motivates me to volunteer my time with school gardens across the country. 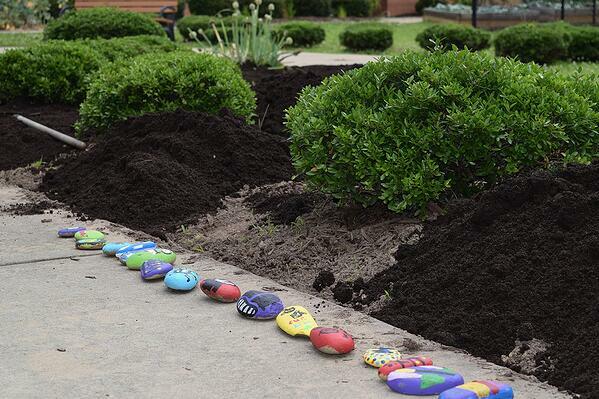 I have yet to meet a student who isn’t inspired by the time they spend in a school garden. The influence this can have is life changing, as they develop relevant skills for cultivating the earth. 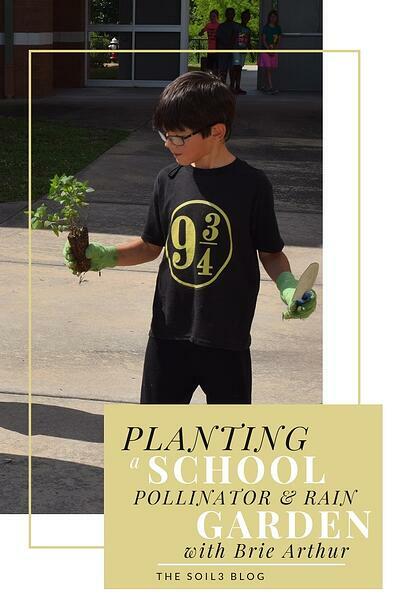 I encourage you to get involved with a local school to see how you can be a part of educating this next generation of gardeners!